On Monday 28th January 2019, VOX Cinemas opened its doors to the very first cinema in Jeddah at Red Sea Mall. The multiplex, with a seating capacity of over 1,400 seats, features 12 screens in total and includes Saudi Arabia’s largest IMAX viewing experience, three Gold Class screens and a Kids screen. Cameron Mitchell, CEO of Majid Al Futtaim Cinemas, said Saudi Arabia has the capacity for high audience numbers. Research from PwC Middle East in November 2018 estimated that that total cinema revenue in Saudi Arabia would reach $1.5 billion by 2030. The forecast was based on a projected 2030 population of 39.5 million, and 6.6 screens per 100,000 people. “Some 95 percent of our employees here are from Saudi Arabia. In any country where we operate cinemas, we localize the team. We have an Egyptian team in Egypt and a Lebanese team in Lebanon and of course Saudis in Saudi Arabia,” said Mitchell. The new multiplex in Jeddah will offer cinema enthusiasts the opportunity to watch some of the world’s biggest blockbuster movies, and according to Mitchell, there would be no issues in relation to gender segregation as there are cinemas for families and separate ones for bachelors. تم افتتاح ڤوكس سينما، أول سينما في جدة! 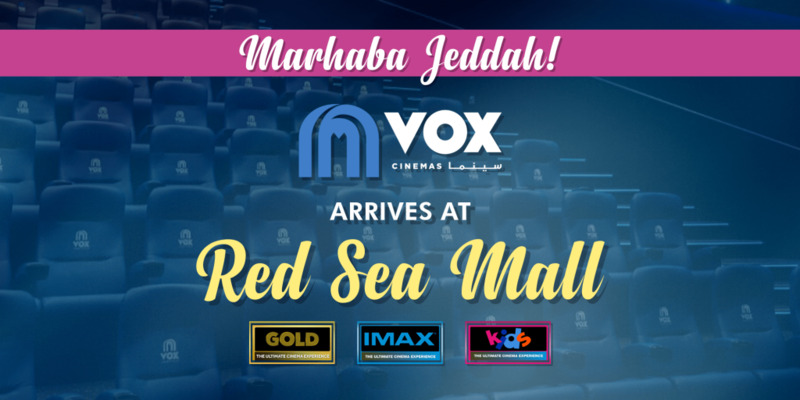 VOX Cinemas- Riyadh Park Mall has been operational since May 2018, and Motivate Val Morgan is the official cinema advertising partner of VOX Cinemas at both locations in the Kingdom. Contact us for more information on cinema advertising opportunities in Saudi Arabia.